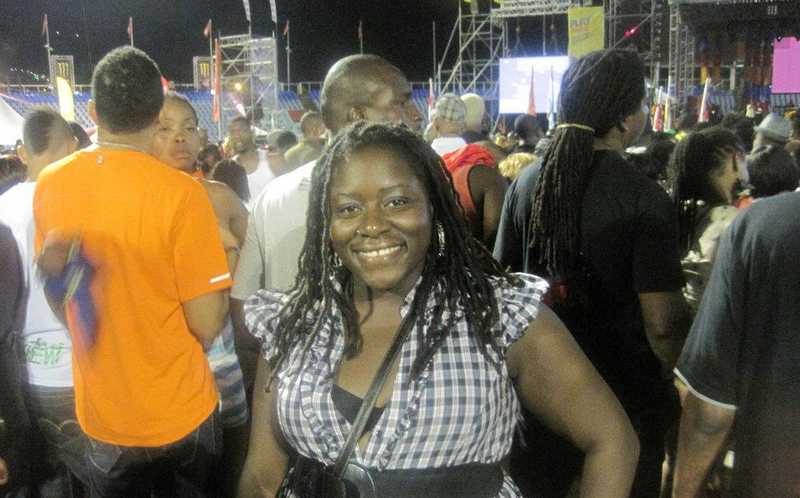 Jan-Feb 2012: Of course, I had to start the year off in Trinidad for Carnival 2012. After hearing all of the music, it was imperative that I make the trip. Glad I did. Fete after fete. WASA with Beenie Man and Bunji Garlin, Army Fete with Kes the Band, and of course, Machel Monday. I have to say that I made the most of my six weeks. I only wish that Fire Fete had not been moved to an earlier date. I planned to kick off the season with the Asylum Family, but, as the Trinis say, small ting. I still got to Miss Behave and roll it Irregular. Of all the fetes I attended, nothing beats the Soca Monarch Finals. The finalists come out and give their best performances in the hopes of attaining the coveted title of Soca Monarch. I had a ball at this fete. I personally think someone was robbed for Groovy Soca Monarch, but that’s another discussion. May 2012: My next stop was to Toronto for Dr. Jay’s Foam Fete at Koolhaus. I know, I know. What kind of irresponsible chick takes her paycheck and flies to Canada just for a party? I suppose the kind of chick that wants to have an epic and memorable time jumping up in foam. Yes, I got all in that foam and wined to the side when Benjai came on. I think that was the first time I really saw how Torontonians get on. No stushness in T-Dot. They showed love for The People’s Champion, who mashed up the crowd…to the point that some chick lost her shoe. It was that serious. June 2012: In June, I kept it American. I went to Philadelphia, PA and Austin, TX to check out the West Indian scenes. I must say, it does not matter where I go. If soca music is playing, I must see a Trini flag waving. Some of the hole-in-the-wall spots I went to in Philly had some great DJs. A note to some of the DJs in Philly, don’t ask for requests if you only have two soca songs. Just sayin’. I was most surprised by Texas. Who knew there were so many West Indians in Austin? I was shocked to hear “So and So” and “Bottle of Rum” at a small restaurant/lounge/club. Go ‘head Austin! August 2012: Of course, if I was willing to go to Toronto just for a fete, I had to return for Caribana. From jumping up with Iwer “The Boss” George at SHINE fete to reveling with masqueraders on the road, I had a ball. The costumes were fantastic and the vibe was so loving and inclusive that even my white, non-West Indian friend who has lived in Toronto for years and never went to Caribana, is now determined to play mas. The only hiccup was the Soca or Die fete at Wild Water Kingdom. Don’t study that. I will tell you how Dr. Jay totally made up for that later. I will definitely be playing mas in Caribana at some point in my life. You know, before I get too old and things start sagging…lower. September 2012: Any self-respecting West Indian living in New York has to take part in Brooklyn Carnival. There were fewer parties this year than in previous years. However, I managed to have a ball at Brass & Glow at Pulse 48 in Brooklyn. Benjai, Krosfyah, Tallpree, Supper Jigga TC, Shal Marshall, Mr. Killa, and The Request Band, and the sexiest dancehall artist to come out ah yard, Konshens. Trini, Bajan, Grenadian, and Jamaican artists on one stage made for a memorable event. I loved it! I did not, however, love the costumes and the behavior on the road on Monday. I believe that Carnival is a free-up time, but that does not mean getting on stink. Thongs and splits do not go together…not outside of your personal domain, that is. Just sayin’. October 2012: Miami Carnival was epic! I had such a good time at R.A.V.E. with Devyn (formerly Lil Devyn), Kerwin DuBois, Shal Marshall, Super Jigga TC, Skinny Fabulous, Benjai, Ravi B., Kes the Band, Machel Montano, and Mr. Vegas. Goodness! I was so sore after that party that I wasn’t sure I would make it to Sun Life Stadium the next day. But I did! Jumo Primo of Byron Lee’s Dragonaires had the whole crowd (and it was a big damn crowd) moving. He also blessed us by showing off some serious wining skills. Machel, Patrice Roberts, and Farmer Nappy kept the crowd wining and waving for the rest of the night into the morning. December 2012: So how did Dr. Jay make up for the “Soca or Die” issues in August? He did so by bringing Kes the Band to do their first Carnival set for the season in Toronto. Yes, you read that right. Kes the Band premiered their set for Trinidad Carnival at “Soca or Die” in Toronto. This was the first time that I showed up to a fete by myself. That did not matter. I got on the dance floor, closed my eyes, spread my hands and leggoooo! I spent the night wukkin’ up on strangers, laughing with chicks I just met, and wavin’ my flag all night. I had a ball! This made up for the flight delays, rude airline workers and the uncomfortable exchange I had with a Customs Officer who asked me why I keep coming to Toronto for parties. If he had been at Foam Fete, SHINE, or Soca or Die-Winter Edition, he would not have asked. So what does DysChick have planned for 2013? I can’t say just yet. I am sure that I will check out Carnivals I have never been to before. I know that I will continue to support soca. I love what I have heard so far coming out of Trinidad for C2K13. Nadia Batson, Destra Garcia, Fay-Ann Lyons, Patrice Roberts, and Denise Belfon are definitely representing for the ladies. However, Bunji Garlin, Machel Montano, Benjai, and K-Rich also have popular tunes. Which ones are my favorites? Ha ha! You’ll have to wait for the next blog entry. It’s time for DysChick to rest…unless ah get a vapse to go a next fete!